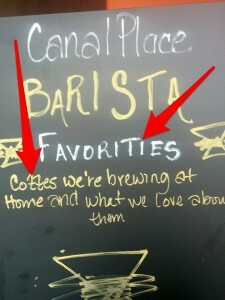 Just like I pointed out in my last article, there are certain entities that should be able to spell certain things. 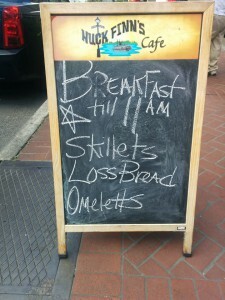 Residents of a state should be able to spell their state names and businesses should be able to spell things that are specific to their industry. 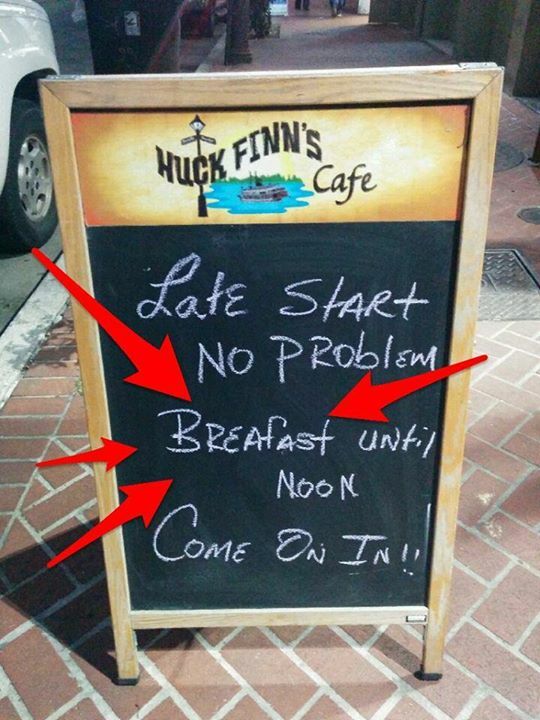 Here are some examples of major gaffes I’ve seen recently that illustrate this point. 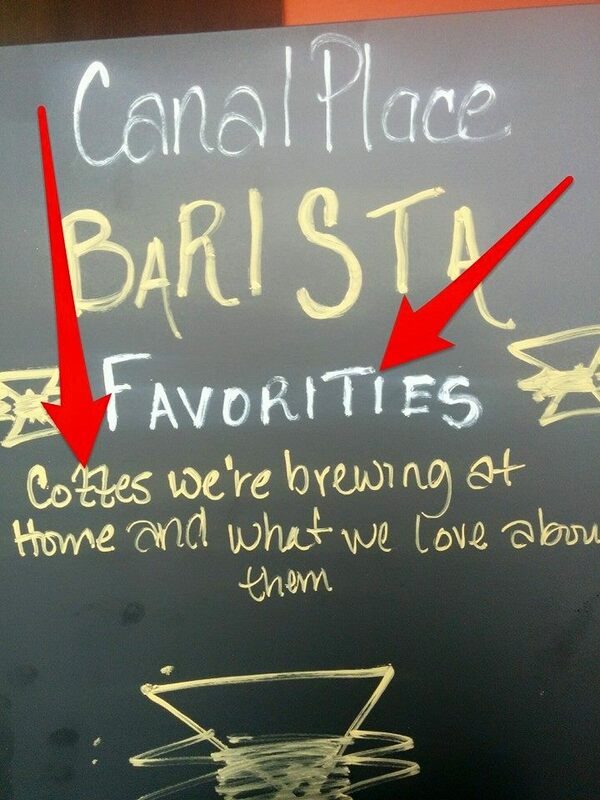 I’m sorry but, if you’re the largest, global COFFEE chain IN THE WORLD with over 21,000 stores in over 60 COUNTRIES, and YOU CAN’T SPELL “COFFEE”, you need to shut down immediately. 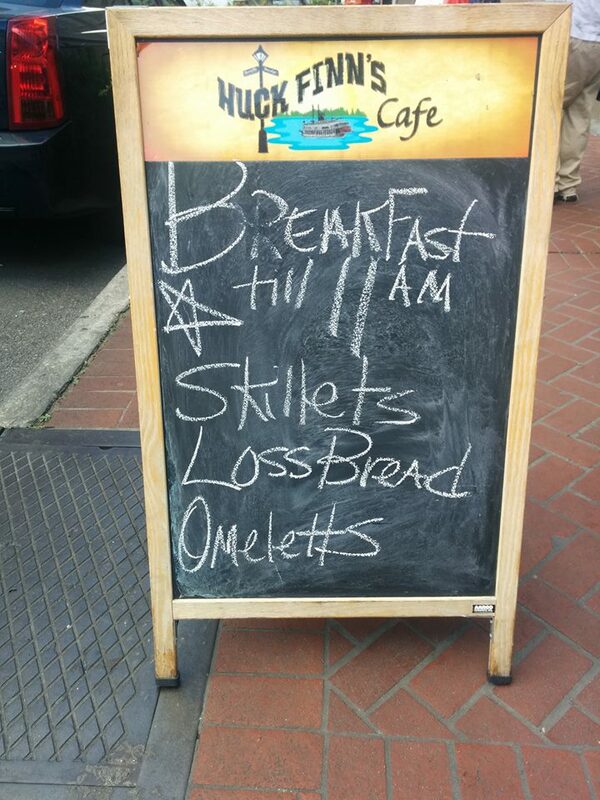 Either close your doors or start serving items you can spell. My next victim is a bar that can’t spell the drinks they serve. 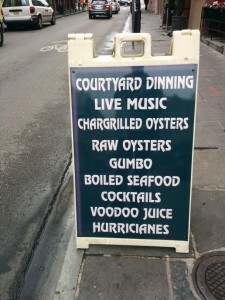 In particular, a NEW ORLEANS bar that CAN’T SPELL “HURRICANE”. 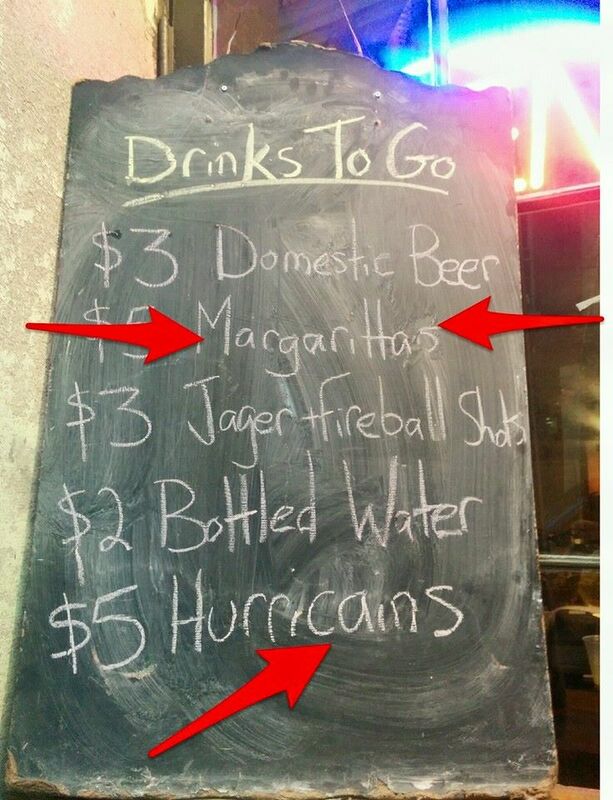 Seriously, the “Hurricane” is arguably the most popular drink in the city and one that was created here. And, as everyone knows, this city is no stranger to the storms of the same name. If I owned this bar, I would have fired the person who wrote this. 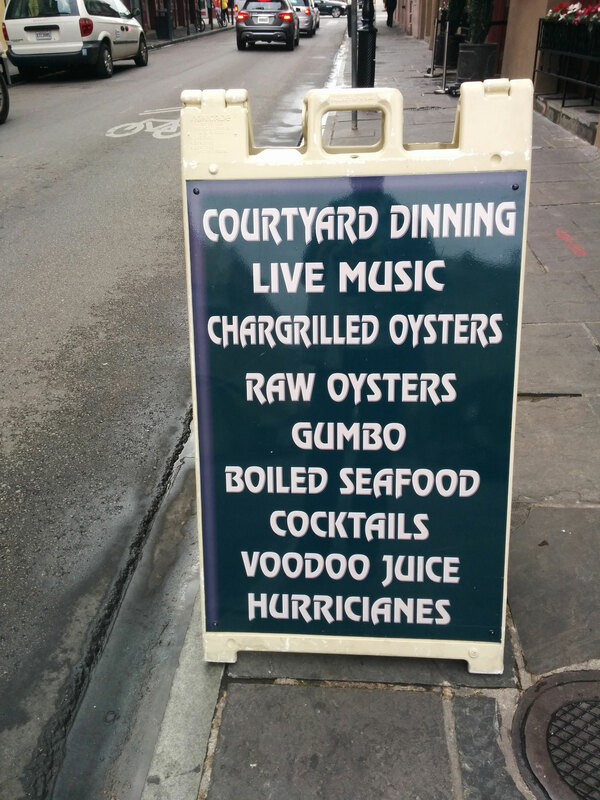 Here’s another place (restaurant) that can’t spell “hurricane”. I was alerted to this by a friend of a friend so I had to go find it myself a few weeks ago. 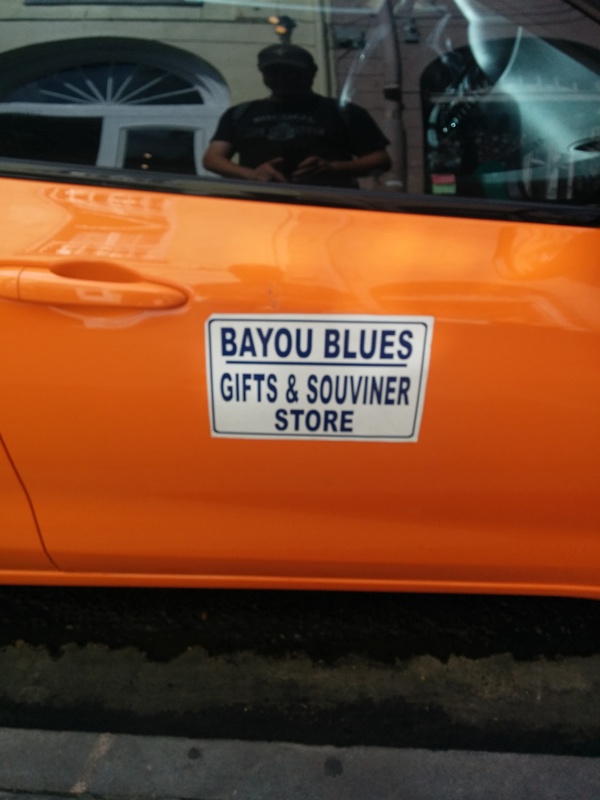 How about a Souvenir Shop owner that can’t spell “Souvenir”? Parked on N. Peters St.
That’s it for this post. If you discover items like this on your own that you’d like to share, let me know! Can You Spell Your State Name?